Deputy coroner Mattie Winston is starting to feel like she’s in way over her head . . .
As the single mom of an energetic toddler and an investigator working for the medical examiner’s office in small-town Sorenson, Wisconsin, Mattie is used to her life being a juggling act. But now that she’s moved in with Detective Steve Hurley and his teenaged daughter Emily, and has started planning their wedding, her home life is looking more like a three-ring circus. And with her boss and friend, Izzy, suddenly having a health crisis, she could not be more grateful for the newest staff member in the ME’s office, Hal Dawson. All too quickly her gratitude turns to shock when a floating body found trapped against a dam turns out to be Hal, but the cause of death isn’t drowning—his throat’s been slashed. Hal was supposed to be fishing on his day off with his girlfriend. And when their empty boat is found in a nearby lake, the whereabouts of the woman becomes an even more urgent question. The characters are well developed, well rounded and three dimensional. Mattie is smart, sarcastic, loyal and a hard worker. I enjoyed reading about her struggles to juggle her home life, professional life and romantic life. She seemed like a genuine character to me, having flaws like everyone else. She loves her family fiercely and will do anything to keep them safe. Steve Hurley, Mattie’s boyfriend and father of her child, is a detective who will stop at nothing to be sure justice is served. Working together with Mattie, they are willing to delve into any mysteries that they encounter. Matthew, their toddler son, added much humor to the story and I loved reading about him throughout the book. The secondary characters were also well developed and added a lot to the story. The author is very talented in building suspense with the written word and throughout the book the tension just kept building, page after page. I was swiping pages as fast as I could, wanting to see what was going to happen next, but afraid to find out. 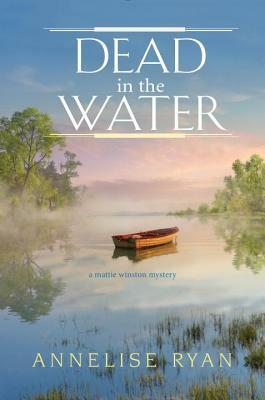 There are a few mysteries to solve in this book, which the author weaved together expertly. The writing style flows smoothly and the book is an easy read. The author combines suspense, tension, humor and family love into a really great story. I would recommend this book to anyone who enjoys a well crafted mystery with great characters, a great storyline and plenty of suspense. I have read most of the books in this series and I have really enjoyed them all. This is a must read series.